HISTORY: Boboi originally was from Pitas, Sabah. He was kept with another female, juvenile sun bear called “Kitud”. 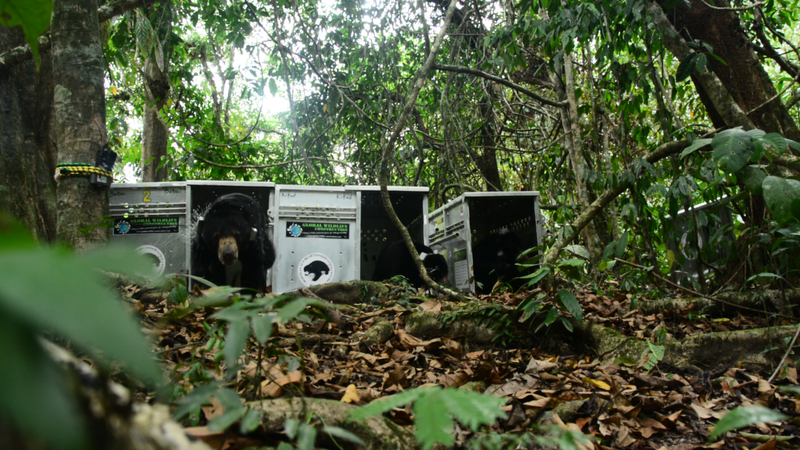 Both of them were handed over to the Sabah Wildlife Department in Singgaron village, Ranau district and arrived at BSBCC on October 30th, 2015. They were kept together in a cage and fed with milk, rice and fish. Boboi was a healthy sun bear juvenile when he first came in. He weighed 15.55kg. 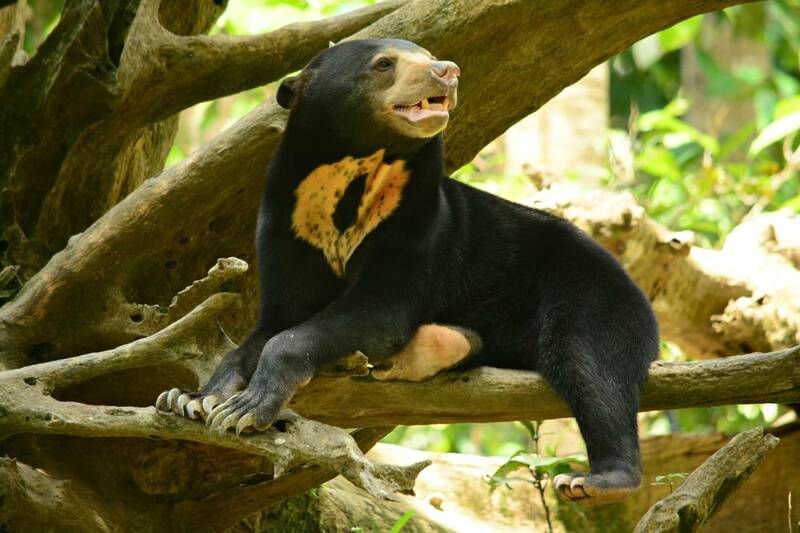 PERSONALITY: Boboi is a very cheeky and energetic male sun bear. He loves to wrestle with his bear friend. They never stop playing. He will always find ways to enjoy himself. On July 15th 2016, Boboi and his friends, Kitud and Tan-Tan, took their first steps on the forest floor. He was curious and huffed at the new environment given to him. He loves eating all fruits and invertebrates. He also loves to suckle on Kitud’s ears to seek comfort. He stays with Kitud most of the time, as he likes to spend his time with her. His daily activities are filled with tearing, biting and climbing the trees. Having been without his mother since he was a tiny cub, he has never been taught the skills he will need to survive in the wild. We are pleased to share that Boboi were released into the core area of Tabin Wildlife Reverse, in Lahad Datu, Sabah on the 14th of April, 2019 together with his friend (Kitud and Tan-Tan). He is the first rescued male bear that we released in the wild. After the four years of rehabilitation process at the BSBCC, now a new adventure and new chapter of their lives are just beginning. Once the door opened, Tan Tan and Boboi ran straight to the forest. On the other hand, Kitud was exploring her new environment. After few minutes, all of them disappeared in front of our eyes, into the forest!